While sleep deprivation was once worn as a badge of honour by hard working folk, we are slowly learning just how dangerous too little sleep can be. According to U.S. Surgeon General Dr. Vivek Murthy via Huffington, “When I was training in medicine … there was a culture that strong people don’t need sleep … it is not helpful to have a culture that supports unhealthy practices like that.” There is increasing evidence that sleep should be taken as seriously as any other health measure, with health bodies across the world waking up to the importance of sleep. 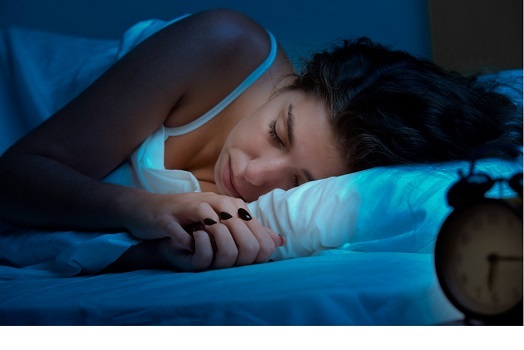 According to a new report by the Royal Society for Public Health - Vision, Voice and Practice (RSPH) in the UK, only 4 in 10 people get enough sleep, and 1 in 5 sleep poorly. While “[There] is not a definitive amount that we should sleep, for children or adults", according to the report, governments should be encouraged to implement a 'sleep strategy' as a guide to how many hours of sleep each age group should be aiming for. Sleep is as vital to our survival as food and water, with lack of sleep having been linked to a range of physical, mental, behavioural, and performance issues. For example, lack of sleep has been linked with diabetes, obesity, and mental health issues, and is also known to increase accidents at work. While people from all walks of life can and do get insomnia, sleep problems are a particularly big issue for shift workers, new parents, young people, workaholics, and party animals. With people regularly getting by on 6 hours sleep or less and work and social schedules getting busier all the time, people are looking for new and innovative ways to get the rest they need. Luxury hotels are offering 'sleep retreats' worth $1,000, with dinner and a movie about sleep promising to rejuvenate you like never before. On the more affordable end of the spectrum, sleep salons such as YeloSpa help urbanites nap when they're away from home for as little as $1 a minute. Tech companies have also been busy developing sleep-related products, including the Neuroon ‘smart’ sleep mask that monitors brainwaves and helps people to rest more efficiently. As the importance of sleep becomes more widely recognised, workplaces around the world are introducing 'nap rooms', which Huffington says will be “as common as conference rooms” in the next few years. As the sleep revolution slowly takes shape, we will only wake up more and more about the importance of going to sleep. We have offices in every corner of New Zealand. Find an advisor near you. © 2017 Mortgage Link. All rights reserved. Site by Kaiser Creative Studio.